Egyptian Lover made some really Electro Hits. "Girls" is definitely one of his strongest Electro Tracks!! and this looped speechsample with pitchtune. Just great!! Totally retarded review. Apparently you don't know nothing about rap history and what the role was for The Egyptian Lover. But no need to explain to you if you judge a record by it's cover. Apparantly you know nothing about 808 (or 303) neither and what the difference these machines made in the music world. A man with such music taste should know better about music culture and innovating music. 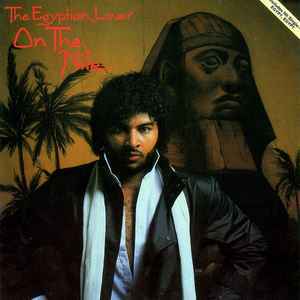 Egyptian Lover is a West Coast Hip Hop legend! This album was so ahead of it's time. In 1983 he made electro tracks with Ice-T and Chris "the glove" Taylor for a movie about west coast Hip Hop called "Breakin' n' Enterin'! And even before that he was the main DJ for "Uncle Jamms Army" in L.A.! As for your thin 808 beats comment..... Have you ever seen anyone else play a TR Roland 808 live at a show like it is an instrument? I have seen him do it... and believe me the beats were not thin! First hearing this, right now on the turntable. I really don't know why this supposed to be such a great album. Very thin 808 beats, but with some nice bleebs and bloobs. His voicing is more like talking than rapping. But I laugh alot about his girl-talk. It's pethatic especially combined with the coverphotos, but because of that it sounds as some over-the-top cult thing. Nice to have a retro laugh at parties, but never a real musical highpoint.